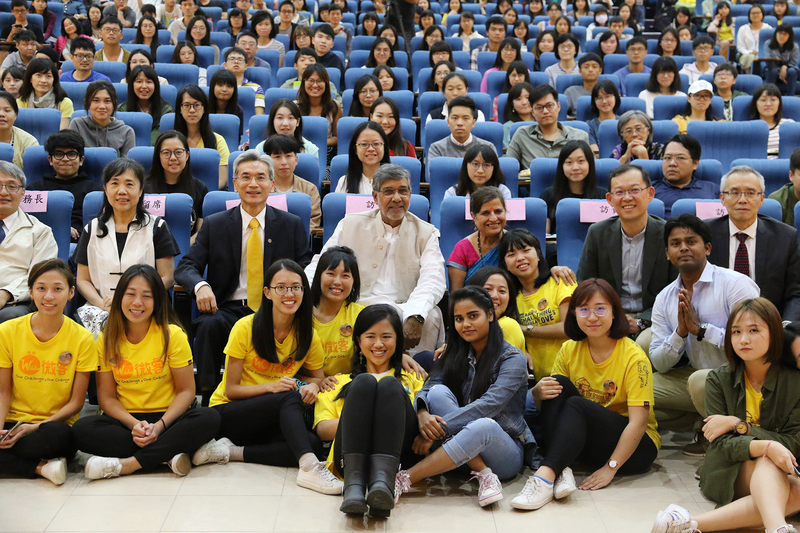 Kailash Satyarthi, winner of the 2014 Nobel Peace Prize, visited National Chung Hsing University (NCHU) University on October 12, 2018. He encouraged young people to promote global care through social network. Keeping in mind that“Children all over the world are our children,”when you light up the first single candle with a single matchstick, you would move on and continue to light up more candles. Satyarthi said that the proportion of young people in Taiwan who are engaged in volunteering is among the highest in the world. There are 100 million children in the world who are at risk of violence, slavery and health, and there are 3 billion people under the age of 25 in the world. Young people have never created wars and disruptions. Wars and disruptions are caused by adults. This is why he trusts young people. 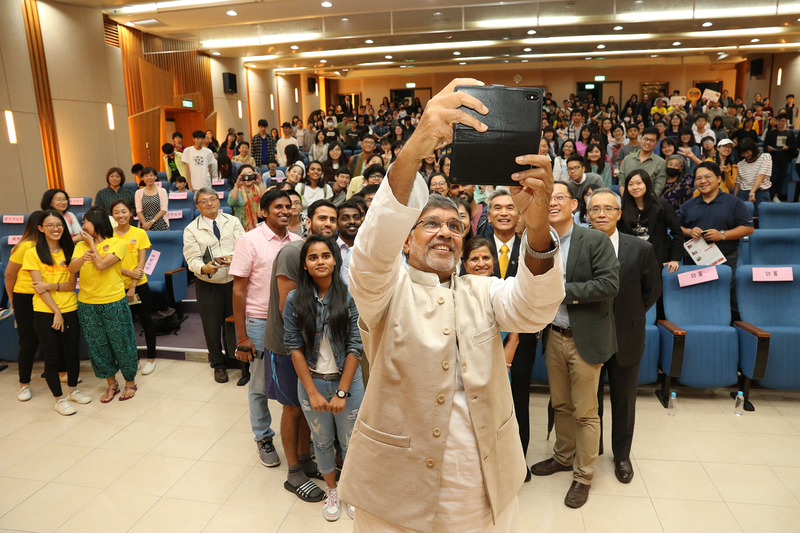 He enjoys going to the different schools and talk to young people in different countries of the world. 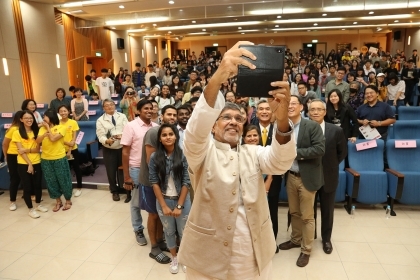 Satyarthi is promoting the “100 million Campaign” globally, hoping to call on 100 million educated, free young people to help 100 million battered children or child labor. In the past one and a half yer, 22 countries have responded. 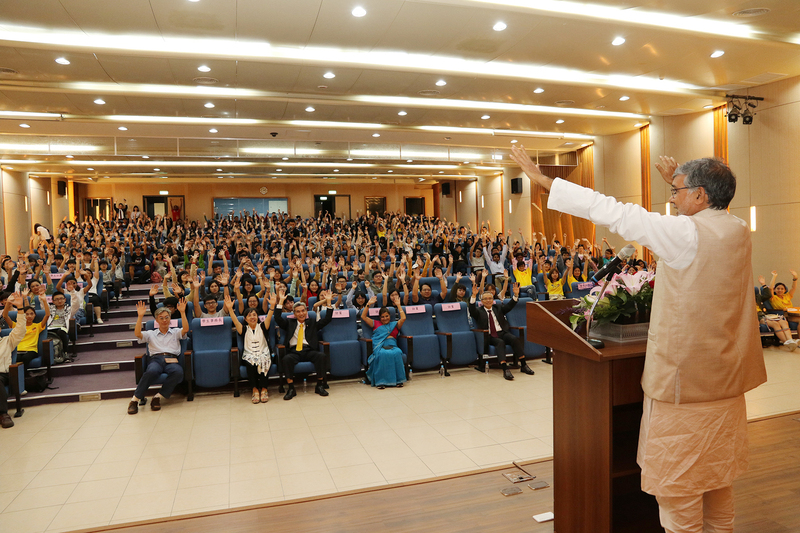 This is the second time that he has visited Taiwan after winning the Nobel Peace Prize in 2014. Shatiyati believes that global care is not just empathy, feeling the pain of the other person, but that after feeling the pain, one can take a step further in action to change the situation in reality. Young people possess the quality of the courage to take risks, dreams, and ask questions, especially questioning the wrong doings. He encourages young people not to feel lonely and inability to change. Young people can create new social movements, influence communities with the community, and then further influence national policies and other countries.